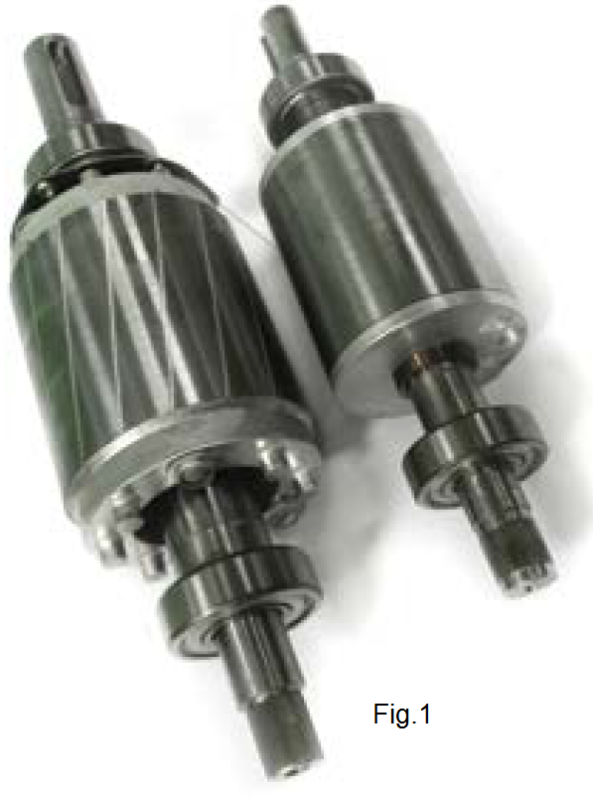 Company EMACH has developed Small-Size synchronous reluctance motor (Small-Size SynRM) without magnets. 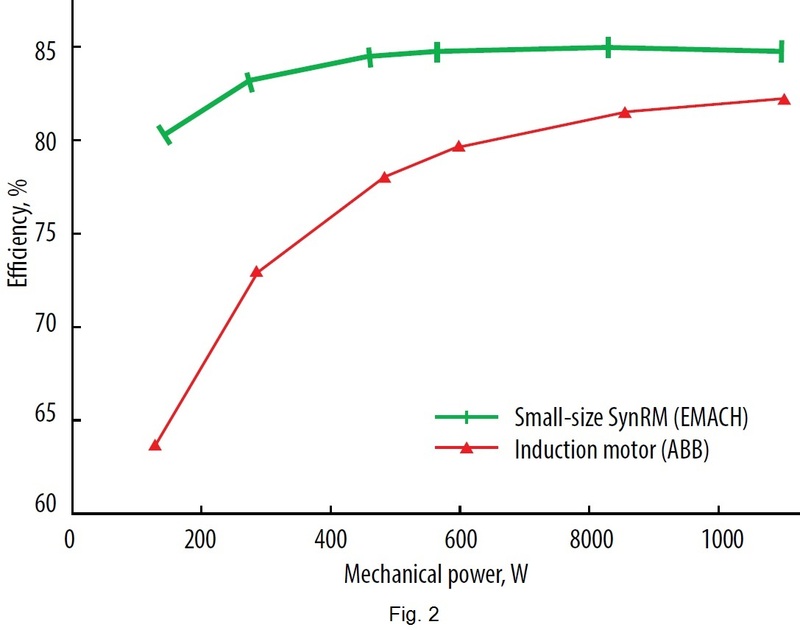 The results of the experimental comparison of the small-size SynRM developed by the company EMACH and ABB’s induction motor are shown in the table. In the table Eff1 is the efficiency at the rated speed and the rated torque, Eff2 is the efficiency at the speed equal to 75% of the rated speed and the torque equal to 50% of the rated torque, Eff3 is the efficiency at the speed equal to 50% of the rated speed and the torque equal to 25% of the rated torque. The weight of EMACH’s Small-Size SynRM is 5.3 kg (50 %) less than of induction motor. In Fig. 1 the rotor of the induction motor (at the left) and the rotor of the Small-Size SynRM (at the right) are shown. The dimensions of EMACH’s SynRM is much less than of the induction motor. Moreover, the production cost of the Small-Size SynRM is significantly less than the production cost of the induction motor. Fig. 2 shows the experimental comparison of EMACH’s Small-Size SynRM (green line) and ABB’s induction motor (red line) at the pump load (quadric dependence of torque on speed). The efficiency of EMACH’s Small-Size SynRM is higher than of ABB’s motor in wide range of powers. Company EMACH can develop Small-Size SynRM (high output) from 1.1 kW to 18.5 kW with approximately 50% less weight than the weight of correspondent induction motor and with higher efficiency.